Beauty is one of the leading categories for influencer marketing. 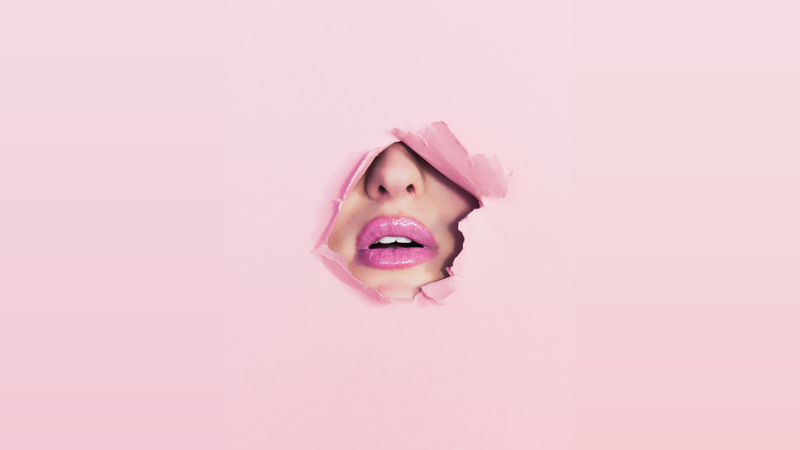 In fact, according to a UK study, 98 percent of beauty brands believe influencer marketing is effective. The popularity of beauty posts on social media cannot be understated. It’s no wonder that in 2016, over 86 percent of the top 200 beauty videos on YouTube were produced by influencers. YouTube is a hub for beauty tutorials, reviews, challenges, and more, with some of the most-subscribed YouTube accounts producing beauty content. Mariand Castañeda, better known as Yuya, is the 37th most-subscribed YouTube channel in the world. Whether she’s walking you through her skincare routine or showing her favorite foundation, Yuya’s beauty and style guides consistently rack up millions of views. And though her spanish language channel has a large subscriber base in her home country of Mexico, Yuya’s appeal is international. Huda Kattan is best known for her massive Instagram following, built on the back of her billion-dollar makeup brand. However, her YouTube boasts an impressive amount of subscribers, with a follower count that continues to grow. Whereas her Instagram features product previews, 10-second tutorials, and peaks into Kattan’s personal life, her YouTube fleshes out this content. From in-depth makeup tutorials to new product reviews, Kattan’s YouTube is an excellent source for high-quality beauty content. James Charles is the rare influencer whose YouTube subscribers mirror his Instagram followers, in that he has almost an equal number of followers on both platforms. Last year, Charles won a Streamy Award in the beauty category, proof of his top-notch content. Charles was also the first male ambassador for CoverGirl, a groundbreaking and gender norm-defying feat. Affectionately referring to his followers as his “sisters,” Charles offers gender-neutral content with gender-neutral appeal. Whether he’s reviewing products, doing makeup challenges, or vlogging about his personal life, Charles’ YouTube is a gold mine for LGBTQ+ friendly beauty content. Dutch influencer Nikkie de Jager is a Shorty Award-winning beauty vlogger who has been recognized in various international publications (including Forbes) for her makeup acumen. A professional makeup artist by trade, Nikkie’s YouTube channel offers a slew of tutorials for any occasion. Her impressive costume makeup videos, like her “Bird Box Inspired Makeup Tutorial” or her “Halloweek” series showcase her creative beauty skills. Tati Westbrook, the GlamLifeGuru, is a beauty vlogger from the early days of YouTube. Having started her channel in 2010, Tati has stayed true to her audience, offering product reviews, tutorials, and vlogs for her faithful followers for nearly a decade. Her unboxing videos, as well as her “Worth the Price” reviews are hits with her audience that generally skews older than the average beauty vlogger. The 36-year-old YouTuber is renowned for her “ageless beauty,” which she leveraged into a successful cosmetics business, Halo Beauty. Tati Westbrook's followers by age, sourced from Julius. One of the largest influencers from Brazil, Mari Maria Makeup is a beauty YouTuber whose channel is devoted to imitated looks, thematic makeup, and epic challenges. She also has a series of comedic, over-the-top reaction videos to popular content. Mari Maria Makeup puts her own genuine touch on the typical makeup tutorial, with frequent jokes, quick-cuts, and movie challenges to keep her content fresh and unique. Bianca Heinicke, better known by her nickname, Bibi, is a German beauty and fashion YouTuber whose vlogs and videos cover a wide range of subjects. Though her claims to fame are her makeup tutorials, hairstyling challenges, and fashion hauls, Bibi has forayed into music, sketch comedy, and more. Her vlogs detail her travels, family life, and aspiring musical career, while her videos showcase her penchant for makeup and fashion styling. Andrea Russett is a lifestyle vlogger with a focus on beauty and makeup content. Though several of her most popular vlogs focus on her daily routines, sexuality, or her preferences for drug of choice, much of her popularity stems from her in-depth beauty and makeup series. Her “Breaking Out” series videos on acne skincare are still among some of her highest viewed videos. Though she still maintains a beauty-only YouTube channel, she migrated much of her beauty-specific content to her main channel, where it lives among her vlogs, challenge videos, and more. Camila Coelho is a Brazilian beauty and fashion YouTuber whose knack for style has taken her from the beaches of Vietnam to the runway at New York Fashion Week. Coelho is known for her style, skincare, and her makeup always being on point. Her YouTube features daily routines and tutorials in both Portuguese and English. She routinely makes videos in-reply to her fans’ comments and suggestions to connect with them on a deeper level and to give them the content they want to see. This Illinois native is a popular, prototypical beauty influencer whose content has helped standardize the model for a successful beauty YouTuber. Her “Get Ready with Me” and daily routine videos, combined with her how-to’s and product reviews, make her channel an excellent resource for anyone interested in beauty at any level of skill. Jacyln Hill also delves into her personal life through her vlogs, detailing her relationship issues, makeup preferences, and more. These influencers are some of the most popular YouTubers in a crowded beauty space. Each continues to grow their audience with unique and engaging content, ranging from product reviews to personal vlogs. Their YouTube success has translated across social media, as many boast millions of followers on their Instagrams, Twitters, and more. Some, like James Charles, use their platforms for activism, while others like Jaclyn Hill serve as educational resources for aspiring makeup artists. All in all, these high-profile beauty influencers show no signs of slowing down in 2019, and will continue to shape the industry in the coming year.